The Broward County PBA HOPE Fund is now collecting donations on behalf of BSO Deputy Tommy O’Keefe. Please see the flyer for more details. This is an URGENT request. Attached are two files: a JPG for uploading to social media; a PDF for printing and posting to bulletin boards. 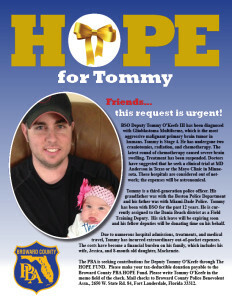 Here is quick status update regarding contracts at the various police agencies that the Broward County PBA represents. The BCPBA had its initial meeting with the Broward Sheriff’s Office on Thursday, April 9, 2015. We brought proposals based on input from the membership survey. Please read BCPBA Secretary, Lee Martin’s, column to learn what happened at the meeting. The BCBPA met with the City of Hallandale on March 26, 2015 to open negotiations. The next step is for the city to set tentative dates to hear our contract proposals. On Thursday, April 9, 2015 a second meeting about pension issues and reform was held at the Fred Lippman Center in Hollywood. On April 16, 2016 the BCPBA also held a negotiation session with the city. The BCPBA notified the City of Miramar that it is ready to begin negotiations. We are waiting for a meeting date to be scheduled. A notice that the BCPBA is prepared to begin negotiations was sent to the Sunrise city manager. The BCPBA is waiting for a meeting date to be scheduled. The BCPBA has received positive feedback on our progress working with the city. 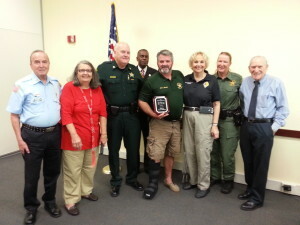 Congratulations to BSO Deputy Kevin Bolling who received the Broward TRIAD 2014 Officer of the Year Award. Broward TRIAD is a three way collaboration between law enforcement, seniors and community service organizations working to improve the safety and quality of life for Broward seniors since 1992. The group meets every first Thursday at the Davie Police Department at 9:30 a.m. All are welcome. Broward TRIAD is a member of NATI, the National Association of TRIADS. Why did you pursue law as a career? I worked in my father’s law office beginning at age 13. I loved working with him and accompanied him to court. We lived in Queens, New York. He was in general practice and was also in the NY State legislature. He later became a trial judge and appellate court judge. He even has a Wikipedia entry, Moses Weinstein. Years later, when I was in college, I spent three summers as a replacement bailiff in the New York State Court of claims. That is a special court set up just to hear claims against the State of New York. Even at an early age, I worked with judges and the courts. What motivated you to enter public service? My first job was in public service. I had just begun my career as an Assistant District Attorney in Queens, NY. I was only on the job for three weeks before I received another job offer that I couldn’t refuse. The job paid for food, clothing, housing as well as my salary. It was an invitation from the President and a call to active duty in the Army. I quickly became legal officer to a 10,000 person brigade. I loved that job too—just not wearing green every day. I’ve been working in the public sector for most of my life. What is the role of the Chief Judge? 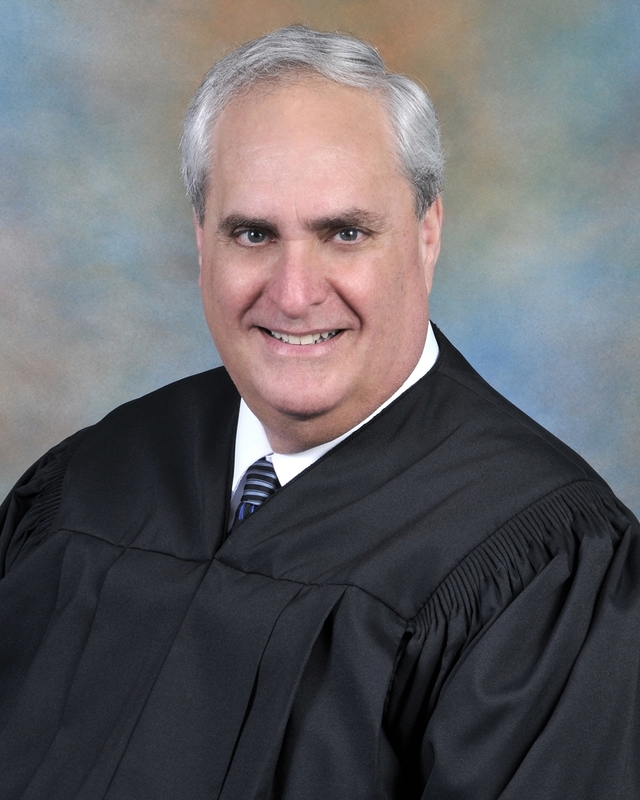 The Chief Judge is chosen by an election of every judge on the circuit every two years and acts as the chief administrator of the 17th Judicial Circuit. The Chief Judge makes all judicial assignments, deals with the appellate court, the Florida Supreme Court, meets with the Chief Justice, and interfaces with the public. It is the role of the Chief Judge to make sure each division is appropriately staffed. I also make it a point to handle cases if I don’t have meetings to attend. I take cases in the foreclosure, general civil, probate and criminal divisions as well as the specialty courts. One of the specialty courts I am particularly proud of is the Veteran’s Court, which was established a few years ago. Eligible veterans can go through the Veteran’s Court program and receive critical services that they need including drug treatment, psychological treatment for PTSD and rehabilitation services that may result in a dismissal of their charges when they’ve completed the program. Do you have any advice for officers who will appear before the court? Every one of the judges serves in the first appearance court. Anyone who is arrested, and who does not bond out, is entitled to appear before the court within 24 hours. I wish that officers would take special care with these cases. They should have a complete probable cause affidavit that is legible so the judge can read it. Take your time and be scrupulously honest. The judge has to be able to read it and know what happened. There are a large number of domestic violence cases, both criminal and civil injunctions. The size of the dockets and the complexity of the cases is overwhelming. Primarily, working with my colleagues on the bench. I have also enjoyed working with the County Commission regarding the construction of the new Courthouse. I love representing the 17th Circuit, interfacing with various stakeholders and constituents such as the legislature, bar associations and public. Judge Peter M. Weinstein was appointed to the 17th Judicial Circuit bench in 1998. He was elected, unopposed, to his second two-year term as Chief Judge in July, 2013. The 17th Judicial Circuit serves the citizens of Broward County, Florida, and is the second largest jurisdiction in the State with a population of over 1.6 million residents. The Circuit utilizes the services of 90 full time judges. Judge Weinstein received his Bachelor’s Degree from New York University and his Juris Doctorate Degree from Brooklyn Law School. He served as a legal officer in the United States Army, as a prosecutor for Broward County, and was in private practice for many years during which time he also served in the Florida State Legislature. Judge Weinstein was elected to the Florida Senate in 1982 and served there for 14 years. He was one of the major authors of the Law Enforcement Officer’s Bill of Rights. He also co-sponsored the Alu-O’Hara Public Safety Act, named after officers Joseph Alu and his fellow injured officer James O’Hara. The Alu-O’Hara Public Safety Act guarantees that officers, firefighters and corrections officers and their families continue to receive health benefits after a catastrophic, on-the-job injury as long as that injury occurred as a result of the officer’s response to an emergency.